Art and Meditation will go deeper when you are working with therapy. Therapy is not meant to remove problems and make you a better person, but to indicate and bring you in touch with your inner truth. By seeing and understanding the hindrances that you unconsciouly have created – flowering from within will start immediately. This is Meera´s vision of Art and creativity. On this DVD Meera is showing the basic approach of her unique way of painting in nature. She is not teaching styles or techniques but how to tune in to the inner presence and let the movement of the colors happen. This way she is going beyond the classical approach of painting. 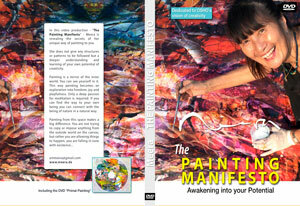 This is her Manifesto – to bring about a new meaning to creativity as a part of meditation. For her life is expression of joy in thousands of forms and colors. In this movie a collection of Meera’s best paintings are combined in an artistic manner. Scences of various painting subjects and styles are being blended into short nature sequences alternating with visuals showing the artist at work. Supported by lovely instrumental music. Maximum Joy and Meditation to watch this DVD! This movie is an introduction of Meeras work. Meera is explaining all different aspects of her approach towards art and painting. She is not teaching a technique wich you have to follow but rather is giving you the key to enter into a space of creativity. To be free and conscious and in the same time in a playful non-judgmental mood while you are painting – is the birth of creativity in your life. 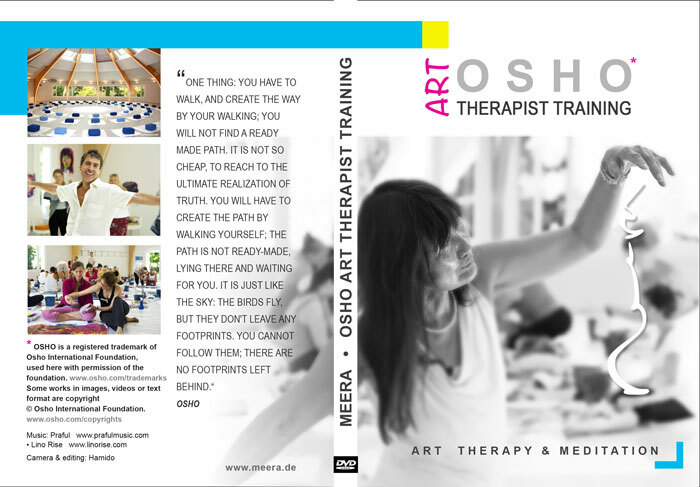 This DVD includes a practical Demo of watercolor technique by Meera. As a Bonus it comes with the DVD „Meera Ibiza Painting Training“ (20 min) which gives you a taste of how Meera is translating and expressing the language of nature in her works.